$64,900 USD NEW, NEW, NEW! NICEST HOME IN THE COMMUNITY! 2016 CLAYTON WITH NEW HOME SMELL! 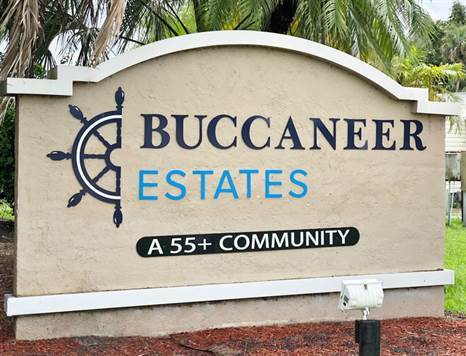 Located in friendly Buccaneer Estates this 2016 Clayton Modular Home is ready for you. With almost 1,300 sq ft and an open, easy flow makes relaxing and sharing with friends and family very easy. This home is waiting for you with all major kitchen appliances, washer, and dryer, low maintenance, large carport, 2 spacious bedrooms, the master has a private bath, and there’s a den that can be used as a 3rd bedroom! BONUS ITEMS include a shingled roof, the kitchen island is big enough for eating, EXTRA large storage shed, and it’s all less than 3 years old. Lot rent is approximately $720 and includes lawn care and use of all amenities. Other fees are a pass-through tax, water, sewer, and trash and add approximately $80 to monthly lot rent bill.